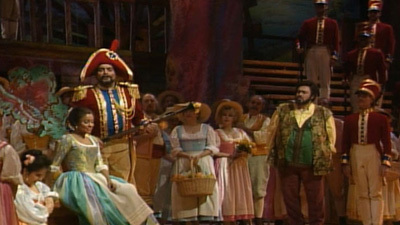 Few roles captured the artistry of the great Luciano Pavarotti as completely as the loveable, simple farmer Nemorino. 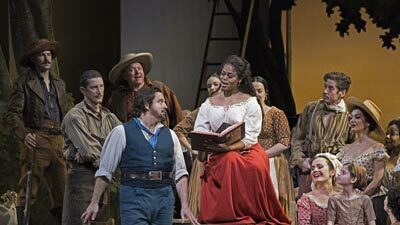 This is the first time the tenor starred in a broadcast of L’Elisir from the Met, and it shows just why he, his incomparable voice, and his charm were embraced by the entire world. 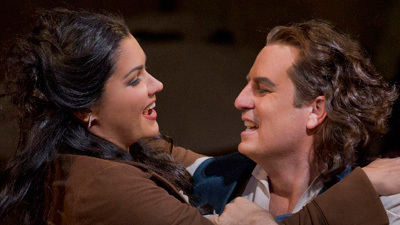 It’s also no wonder that Adina (a sparkling Judith Blegen) finally admits she returns his love. John Reardon is the dashing Sergeant Belcore who momentarily throws a wrench into things, but with some help from Ezio Flagello (Dr. Dulcamara) everything turns out as it should.